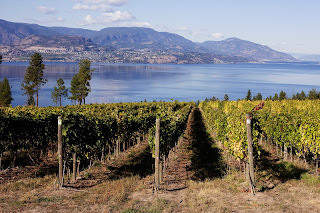 We were in the Okanagan for a wedding just after Labour Day, and it offered the opportunity to visit some wineries too. 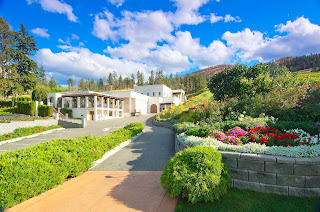 CedarCreek Estate Winery has always been a favourite of mine; it's wines are consistently good and its Platinum range features some great wines at fairly reasonable prices. The original winery here was called Uniake Wines. It opened in 1980 and the winery struggled. Partly because of what was then seen as its remote location, and partly, no doubt, to its rather strange name. Everything changed when Ross Fitzpatrick, who subsequently became a Senator, bought the winery in 1986. He had the good sense to change the name to CedarCreek in 1987. 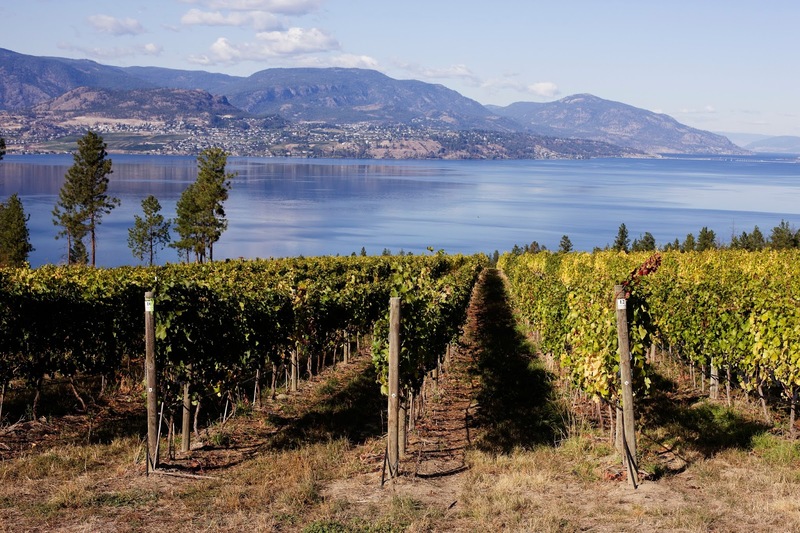 Fitzpatrick became a pioneer in the Canadian wine industry, and transformed CedarCreek with patience and perseverance, which, according to family lore, was his own personal mantra. I have a vague memory of visiting the winery in the 1990s and being shown around the property by Fitzpatrick himself. The Senator had a philosophy: "Respect the land, honour tradition, pursue perfection" and I recall those words being mentioned as he led us around the vineyard and cellar. The tasting room and sales floor are rather small, considering the number of people who visit CedarCreek every day through the summer months. After Labour Day things are more peaceful and our tasting was without the pressure of crowds. The restaurant proved to be a wonderful experience too. The Vineyard Terrrace is an open-air restaurant that wraps around the wineshop. Every seat offers views of the vineyard and the lake, though some tables provide an even more spectacular view of the parking lot. The menu changes often and showcases local, seasonal ingredients with a "Farm to Table" mentality, and excellent pairing selections. Sherry and I shared items for our lunch, starting with a nice corn chowder, organic and non-GMO, seasoned with smoked paprika. A refreshing watermelon salad followed, with hazelnuts, beets and some Little Qualicum bleu cheese and a raspberry vinaigrette dressing. Next, a baked Terroir Cheese, with caramelised pear honey and crostini. A bit sweet for my liking, though I didn't have any trouble eating it, especially with the fine Chardonnay nearby. Our main dish was a Mushroom Risotto. It featured three or four different mushrooms, wild foraged and tame, and a shaved Kootenay nostrala. An incredibly simple dish with outstanding flavours; the mushrooms were distinctive in their tastes and somewhat hypnotic when paired with a Platinum Desert Ridge Merlot. In February 2014 the Fitzpatrick family announced the transfer of ownership of CedarCreek to the von Mandl family, which owns Mission Hill. Hopefully the family legacy will continue in some form and Ross Fitzpatrick's philosophy will remain central to the wines of CedarCreek.